Many Malaysian aspiring students want to pursue their career in medical studies but without the financial means to do so. It is well known anywhere in the world that medical studies is the most expensive courses compared to others. In Malaysia, students who cannot afford the exorbitant cost of private medical education and unable to make it to the government funded medical colleges will turn to foreign medical schools with cheaper cost structures. The situation is complicated by the issue of non-recognition of foreign medical schools whereby many of these foreign medical schools offered high quality internationally recognized medical degree but at a more reasonable and affordable tuition fee with at least one-third of the price charged by local private institutions. The flip flop and dilly dally of the relevant authorities in Malaysia to act swiftly on non-recognition issue has been haunting Malaysian students for many many years and drove away students to study in these countries. One of the country is China where in 2012, the Malaysian government had officially announced to accredit 11 Chinese medical universities but so far only two universities were listed on the accredited medical institutions of Malaysia Medical Council's Second Schedule. I don't see the above situation will be rectified anytime sooner due to apparent reasons that you and me are well aware of. If you have the passion and it is your lifelong dream to become a doctor, follow your dream and go for it. It won't go wrong if you study and build your career along health science line be it a nurse, medical practitioner, medical researcher or medical academia. For the last 10 years, the growth of health care related industries and occupations has been tremendous. For the past 2 decades, healthcare related job has taken the top of the list in term of growth and job opening compared with other occupations and industries in U.S. In U.S., Occupations and industries related to healthcare are projected to add the most new jobs between 2012 and 2022 with total employment is projected to increase 10.8 percent, or 15.6 million, during the decade. The high demand of healthcare is correlated to the increase of population. United Nations projected the increase of total world population from the current world population of 7.2 billion to increase by another 1 billion over the next 12 years and reach 9.6 billion by 2050. Likewise, United Nations also projected unprecedented ageing population that the twenty-first century will witness even more rapid ageing than did the century just past. For life expectancy, overall it is projected to increase in developed and developing countries in future years. At the global level, it is projected to reach 76 years in the period 2045-2050 and 82 years in 2095-2100. By the end of the century, people in developed countries could live on average around 89 years, compared to about 81 years in developing regions. 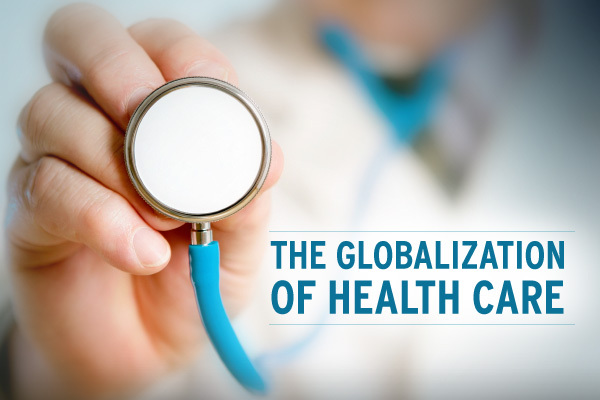 All the above required tremendous growth in health care to support the larger world populations hence medical developments and advances are set to take a new height. fact very far and beyond what you could imagine. Medicine is without border. See what happened around the world. Million of people are without access to proper healthcare. War refugees, neglected people all need medical attention and humanitarian aid. Incurable and deadly diseases had killed million people and these need dedicated medical study and medical research to sustain human survival and development. The world is in need of more healing hands and this is the opportunity for you to travel around to learn new method and way of medical treatment which will provide new dimension and different experience. Your knowledge abroad opens the way to acquire new skills and experiences and this could be a good step for a fulfilling career. Medical field is lifelong learning process due to complexity of human body and perhaps is the most profound of human ingenuity. Lifelong learning is the essential part of doctor in order to learn about technology advances, new developments and prevention of diseases. Hence, a commonly used phrase in medicine is “see one, do one, teach one”, making reference to increasing levels of understanding of the subject matter. 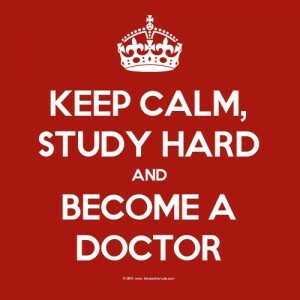 Don't see over supply of doctor in Malaysia to deter you to become a doctor. The situation of over supply of doctor and long waiting list of housemanship partly caused by shortage of government hospitals to train medical graduate. Don't see non-recognition of foreign medical degrees in Malaysia to hindrance your passion, desire and dream to become a doctor. Take a brighter approach and weight your options from a bigger picture and perspective. Indeed, the world is big for your to fulfill your aspiration. Do not just limit your potential in Malaysia. Go global. Globalization is set to rule and if the government of the day continues to be in favor of protectionist policies and did not practice what it preach, then it will be a sad story for our beloved country in years to come.